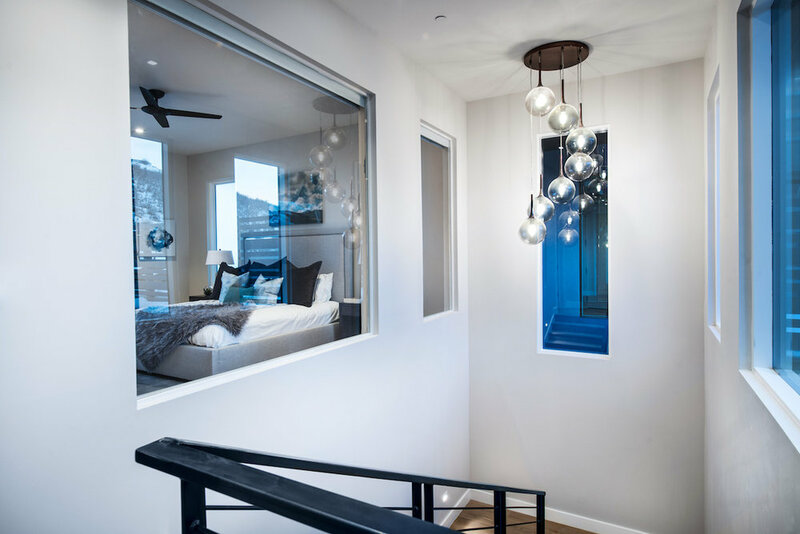 Roundabout is a new luxurious condominium development located at 300 Deer Valley Drive - directly at the roundabout in Old Town leading up to Deer Valley® Resort. Enjoy a short walk to restaurants, shops, and entertainment on historic Main Street or hop on the free city bus for a quick ride to Deer Valley® Resort or Park City Mountain. Costantino began his architectural studies at the Universita degli Studi 'La Sapienza' in his hometown of Rome, Italy. After moving to the United States, he finished his studies at the Rhode Island School of Design, receiving a Bachelor of Architecture in 1993 and moving west to Utah. 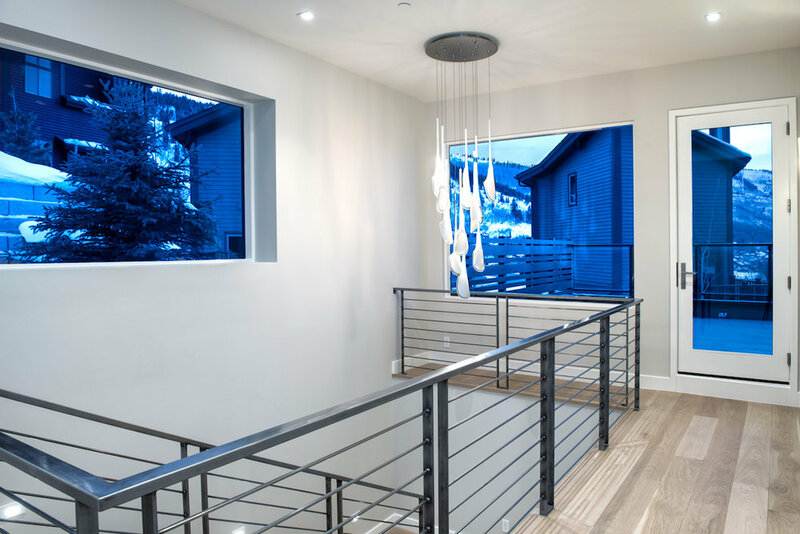 Costantino has been designing custom homes in Park City since 1993 and is a licensed architect in the state of Utah. Henderson Development began developing multi-family apartments and condominiums in Northern CA in the late 90’s. The company expanded to include infill development projects in areas of Utah undergoing revitalization and transformation. 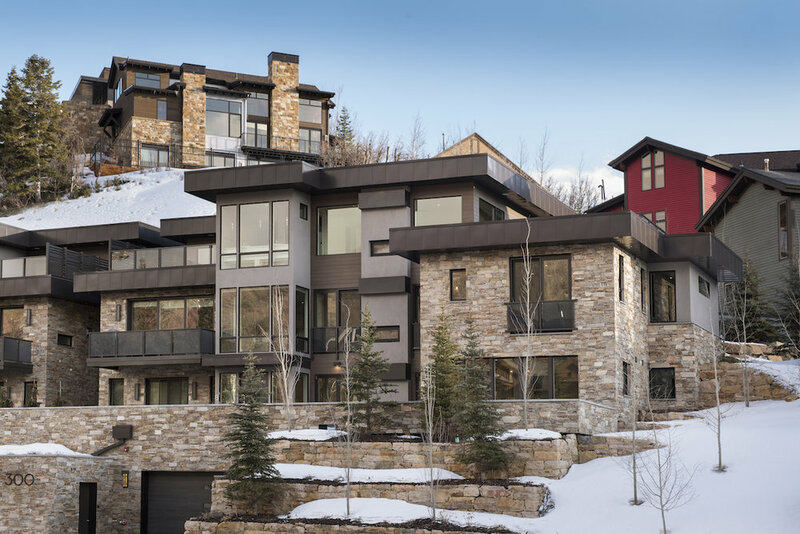 The family-owned and operated business has also had success developing high-end condominium residences and single-family luxury homes in Park City focused on enhanced livability. Henderson Development establishes a unique team for each project and works collaboratively on every step from initial design to selling the final product, which creates significant value for the buyer. The assembled team represents over 50 years of development experience and hundreds of homes built. 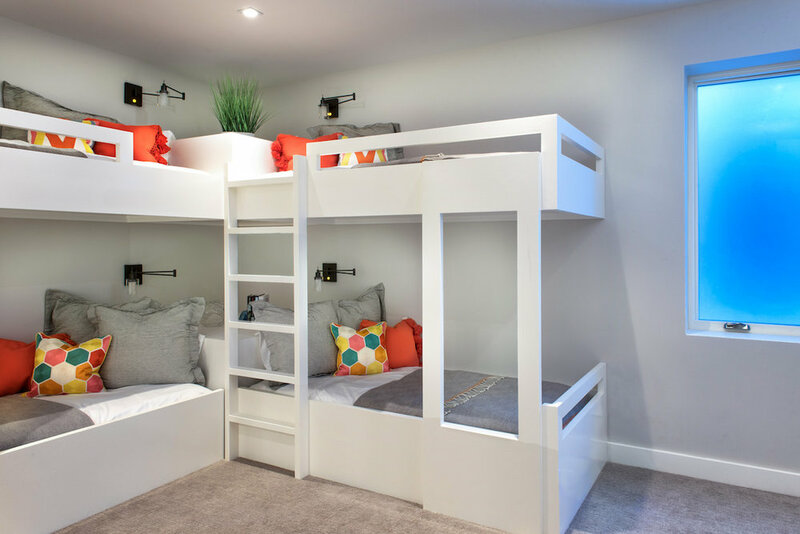 The Henderson family has been living and developing in Utah for 14 years and pays special attention to how people work, play and live in the mountains, which is reflected in our thoughtful design, organization, and choice of products and finishes. Park City is an outdoor community with a wide array of sports and activities as well as world-class art and entertainment. The highly skilled professionals working on Roundabout spent a great deal of time considering the benefits and challenges of living in the center of a busy resort town. We believe we have created a unique set of residences that offer optimized access to mountain living, without sacrificing privacy, outdoor space, parking or storage. Preston Campbell, of Go West Development, moved from Virginia to Park City in 2002 with his wife and business partner, Lori, and their 3 children, for the same reasons as so many others — good schools, sun, snow, bike trails, clean air…..
With 30 years experience doing historically accurate renovations of 100 year old buildings, and 20 of building modern, energy efficient buildings, Go West helps blend the latest in Building Science with the best of the past. 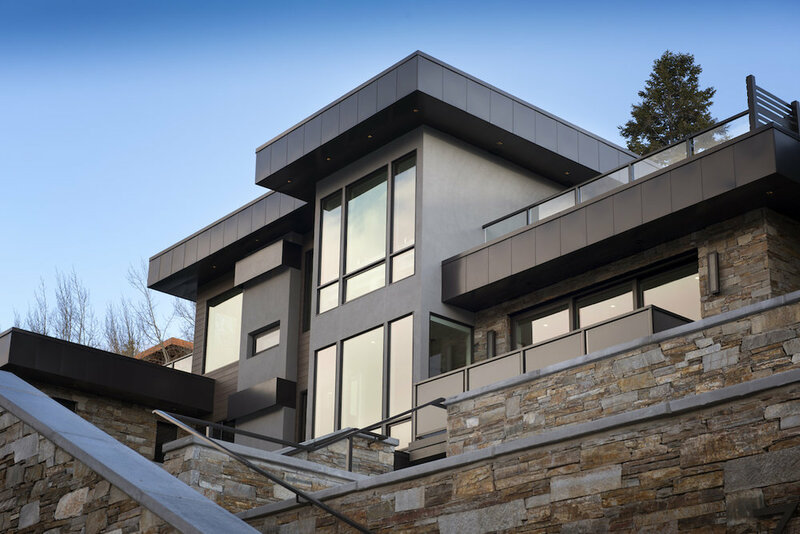 Their dedication to building the best possible homes in Park City was recognized by their peers when Preston was elected president of the Park City Area Home Builders Association, and their work has appeared in publications from New American Luxury to Luxe Magazine. Cooper's is proud to be serving the Roundabout development with both branches of our company: Cooper's HOA and Cooper's Luxury Home Collection. Cooper's HOA services 12 high-end homeowners associations across Park City and we are excited to bring the same quality services of common area maintenance, community financial planning and general management to Roundabout. Simultaneously, Cooper's Luxury Home Collection serves individual Roundabout homeowners, offering property management that covers both your home and your lifestyle, with services ranging from handyman help and home automation to grocery delivery and car services. Cooper's Luxury Home Collection also brings years of expertise in luxury vacation rentals for those who wish to rent, handling all of the maintenance, guest experience, and marketing across major rental platforms like AirBnB and VRBO. Roundabout homeowners reap the benefits of a management company that covers all aspects of the home, allowing you to make the most of your time in Park City and have peace of mind when away from home. Service and Professionalism are at the core of Matthew's business model. Currently, Matthew represents the new communities of Enclave at Sun Canyon and One Empire Pass Deer Valley in addition to representing clients throughout Park City. Matthew attended college at Villanova University where he studied engineering. Past experience includes Ritz-Carlton Northstar Tahoe, Waldorf Astoria Park City, Red Cloud Deer Valley and Tuhaye. Matt is active in the community and resides in Park City with his wife and son. As a dedicated, full-time real estate professional, Patrick’s clients know that he is always available for them and that he works extremely hard to negotiate the best possible transaction for his buyers and sellers. Patrick has spent the last 20 years living and working in the Park City/Wasatch Front area. Patrick’s involvement in the community makes him an ideal person to help you locate the right neighborhood and residence for your needs. Patrick and his wife are the proud parents of three young children. His interests include golf, mountain biking, skiing, snowboarding, hiking, and most importantly his family.